Scartch-Resistant Artificial Leather Cover: This Passport Is Made From Scratch Resistant artificial Leather With Nice Quality Print That Makes Travel More Fun. We Wanted To Create A Passport Cover That Would Last You For A Lifetime. Heavy-duty Inner Lining: The Sturdy Interior Features A Sleeve For Your Passport And Two Pockets To Store Your Cards In. Interfaced And Double Stitched To Last For Years. Holds Any Standard US or EU Size Passport Or Item That Is 3.5 By 5 Inches. 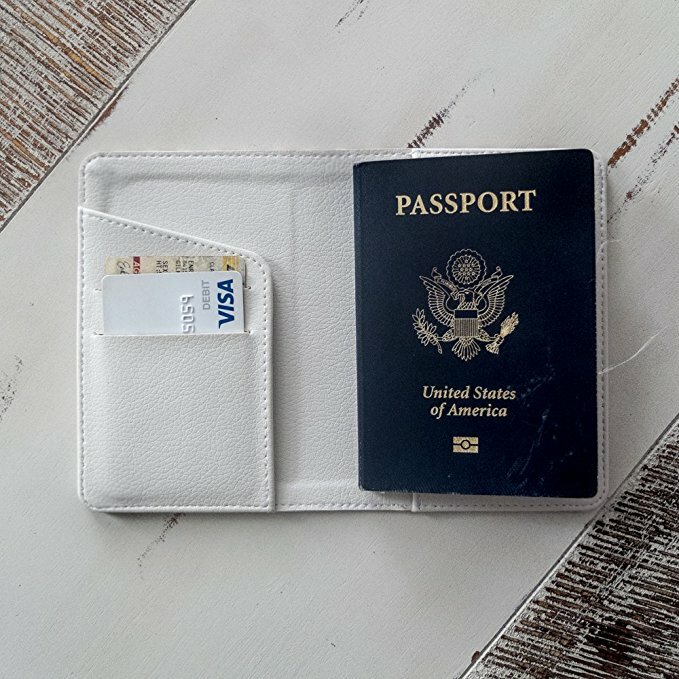 Keep Fashionable: As You Travel Around The World, Keep Your Most Important Travel Document Stylish, Shiny, And New With A Custom Passport Holder. This Lightweight Accessory Ensures Your Passport Remains Safe From Harm While You Carry Your Personal Style Wherever You Go!